Caribbean Estates is an established development with magnificent three, four or six bedroom villas available for purchase or to rent for the holiday of a lifetime. The villas are exquisitely furnished and equipped. Caribbean Estates is Water self sufficient, You are assured always of high quality potable water during your stay here. 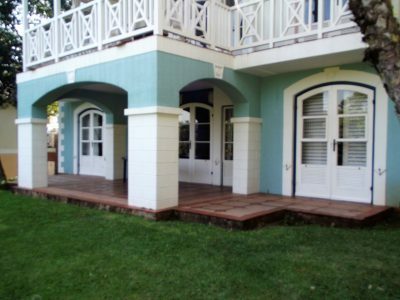 Our Antigua units are only used by various Timeshare companies. They consist of 2 bedroom, 6 sleepers and 1 bedroom, 4 sleepers units (incl. children), with views of the Antigua Pool or the pond. Various fish and bird species call this pond “home”, so keep your eyes peeled for some beautiful sightings. Our 3 bedroom Montego Bay 6 sleeper and 3 bedroom 8 sleeper (incl. children) apartments are quaintly styled in Caribbean themes. 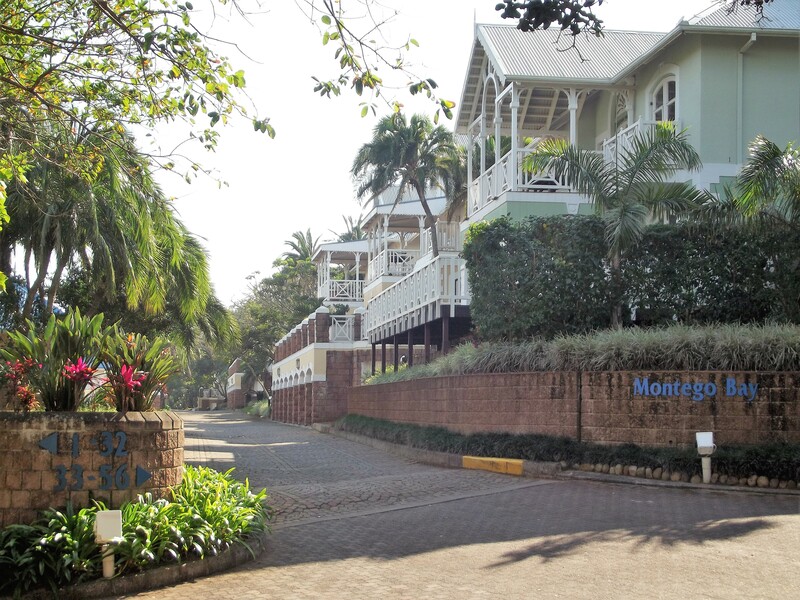 Located near the Umtamvuna River, these apartments are ideal for family getaways. Built on a slope, these apartments all have easily accessible stairways towards their entrances. Closely situated near the walkways to the river and beach, makes them ideal for the fisherman. WE HAVE SOME EXCELLENT UNITS AND VACANT LOTS FOR SALE. Caribbean Estates offers both Sectional Title and Freehold ownership to interested purchasers as well as several unique vacant stands. Freehold properties already developed and available for sale offer an immediate occupation of secure lifestyle within this Eco paradise. 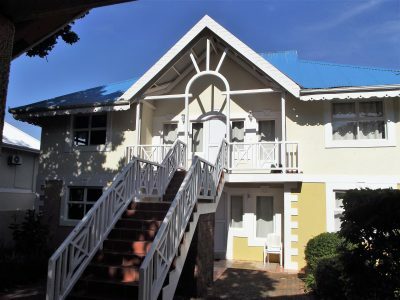 Vacant stands are available for personal development within the Caribbean style and within this private residential Estate. I think the resort has maintained an excellent standard over all the years that we have owned timeshare there. we had our honeymoon there 25 years ago. All i can recommend is continue to keep the standards up. The lady who was responsible for cleaning our unit (I forgot her name) was excellent and so good to my granddaughter. Keep up your standards. Weekend was very excellent. will love to stay again. Will recommend to my friends and family. My holiday in Caribbean was fabulous! We had a wonderful stay and will bring the family back in future. All was exceptionally great and well done to the staff at the reception the security and housekeeping. May I please request that I get emails if you have specials on your weekend stay at the Caribbean. Will definitely come back soon. Caribbean Estates is Water self sufficient, You are assured of high quality potable water during your stay here. No parties/individuals visiting or viewing images, may otherwise copy, modify, publish, transmit, or distribute the contents of the photographs found herein. The Caribbean Estates logo is a registered trademark.